British Prime Minister Theresa May said Monday she still holds control of her government and is steering Brexit negotiations after divisions in her ruling party surfaced over Britain’s split with Europe. 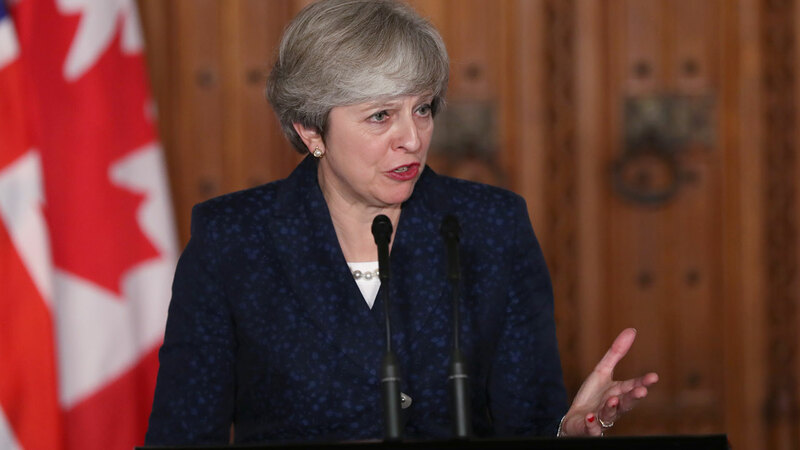 “The UK government is driven from the front and we all have the same destination in our sights — and that is getting a good deal for Brexit with the European Union,” she said during a visit to Canada. Her remarks in Ottawa come after Foreign Secretary Boris Johnson stirred up colleagues and put pressure on May by laying out his own vision for Brexit. The foreign secretary was accused of “backseat driving” by a fellow minister over his demand for a clean break with the EU. While his position drew praise from eurosceptic members of Britain’s ruling Conservative party, others saw it as an attempt to force May’s hand ahead of a speech in the Italian city of Florence on Friday, when she will give an update on her plans and the progress of negotiations with the EU.